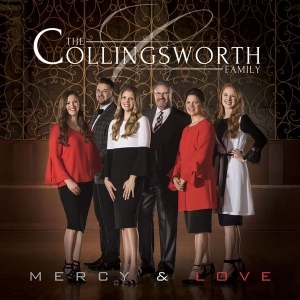 Today, we take a look at the new album from the Collingsworth Family; Mercy & Love. The Collingsworth Family have been Singing News readers favorite mixed group for six years running and will probably take a seventh a couple weeks from now. Mercy & Love doesn’t stray from what listeners have already come to expect from this family. 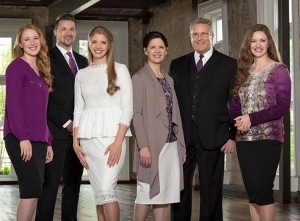 The Collingsworth Family have six vocalists (Phil Sr, Kim, Brooklyn, Phil Jr, Courtney, Olivia) that usually trade-off in various trio vocal combinations. The first half the album outweighs what listeners get on the second half. The up-tempo title track was the song that stands out and should be chosen as a radio single. “Mercy And Love” is a definite must listen from the recording. Marty Funderburk and John Mathis have a winner in “God Still Delivers”. I enjoyed the mixed quartet arrangement given the song. I wish the orchestration wasn’t so overpowering. Kim, Courtney and Olivia come together to give listeners a great Southern Gospel ballad, “Altar Of Grace”. Which goes into the big choral production of the Jeff Bumgardner co-write, “The Lamb”. I imagine this song will land in a few choir’s Easter songbooks. This is the kind of song that made the Collingsworth Family popular. Kim and Brooklyn trade verses on another big production song, “Magnify Him”. Courtney and Olivia offer the poignant, “Do You Know The Savior”. I enjoyed the simple arrangement and musical accompaniment compared to most of the recording, which is over orchestrated. Don’t want to leave the review without mentioning what may be Phil Jr’s best vocal performance to date, “Bring It Broken”. Add this to your must listen list. Strongest songs included in order: “Mercy And Love”, “God Still Delivers”, “Altar Of Grace”, “The Lamb”, “Do You Know The Savior”, “Magnify Him”, “Bring It Broken” and “Live Like Jesus”. The Collingsworth Family must have not gotten the Stow Town memo of new albums having nine songs (see Erwins/Taylors). The over orchestrated bombastic sounds on the closing piano solo should be reserved for a Liberace style Vegas show. Too much. The album clocks in at 1 hour and 3 minutes. The last two songs alone account for 13 minutes of that run time. Why would you open a new album with two song covers? Weakest songs included in order: “We Shall Behold Him (Piano Solo)”, “It Runs In The Family” and “Casting Our Crowns At His Feet/Worthy The Lamb”. I have been patiently waiting for that one Collingsworth Family album to blow me away. Sadly Mercy & Love is not that album. Long time listeners of the group should find several songs that would make great additions to your playlists. Today continues a new series titled overrated. It looks at a current artist’s popularity (rated out of 100) vs current chart success/album releases (rated out of 100). The difference between their popularity score and chart success/album release score is where they fall on the overrated meter. The artist covered today is the Collingsworth Family. 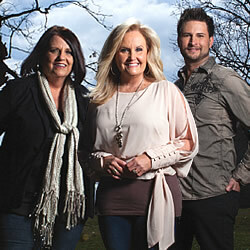 The Collingsworth Family have become Southern Gospel’s biggest mixed group. The fan voted Singing News fan awards have given the Collingsworth Family favorite mixed group the last five years in a row. 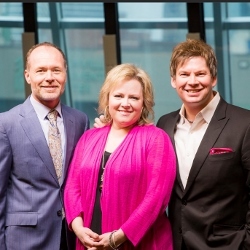 Kim Collingsworth’s piano playing has contributed more to the Collingsworth Family’s success than the music the group releases. In pondering the music the Collingsworth Family is currently giving listeners, I score that 64 out of 100. The top album in the Collingsworth Family’s discography is the 2011 album, Part Of The Family. The Collingsworth Family didn’t pick up their first top ten song until November 2012 with the song, “Just Another Rainy Day”. Since that time they’ve had only two other top ten hits; “How Great Is Love For Me” (2015) and “What The Bible Says” (2016). The Collingsworth Family has yet to capture a #1 song on the Southern Gospel radio singles chart. This score represents that the Collingsworth Family is currently overrated by a net positive +33. Welcome to October 2016. Lets kick off the month highlighting the five most played Southern Gospel radio songs in my musical playlists over the preceding month. Enjoy! Round two voting has begun for the 2016 Southern Gospel music March madness competition. Not too many surprises with the artists that advanced today. Here are the rules to voting. This poll will close on Monday (03/28/16). This poll will close on Wednesday (03/23/16). Welcome to 2016! First official new post of the new year is a little Southern Gospel tidbits. I thought I would provide some Southern Gospel predictions for 2016. What do you think? 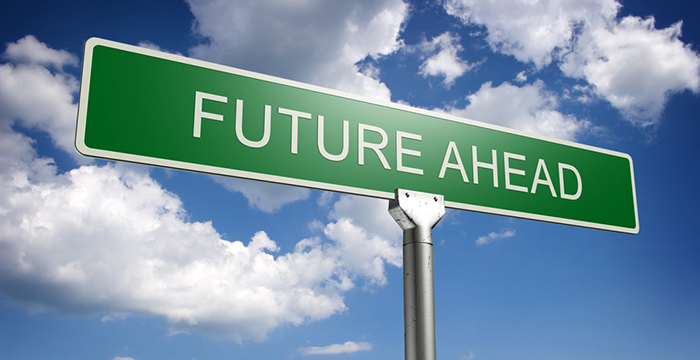 What are some predictions you have for Southern Gospel music for 2016? With the half-dozen albums coming out in January and those slated for first quarter 2016; I am going to go ahead and say 2016 will top 2015 in terms of Southern Gospel album releases. Amber Nelon Thompson will finally win her first soprano vocalist award from Singing News readers (I’ll stuff the ballot box if I have to). Brian Free & Assurance will call it quits. Canton Junction will decide to do an actual tour (not just six dates). Some artist will continue to cash in on the Cathedral name. The Kingsboys will come together for a reunion tour only to realize they are all now retirement age. The Collingsworth Family will still be Southern Gospel’s favorite group without a #1 song. Leonardo DeCaprio knows how you feel (Oscar anyone). The Singing Cookes will choose to record another song about mama. The new Crabb Family tour will have limited tour dates, until they come together in two more years for another Crabb Family tour. With the number of personnel changes each group experiences, the Dixie Echoes and Dixie Melody Boys will merge in to The Dixie Melody Echoes. Ernie Haase & Signature Sound will release another landmark album that Southern Gospel listeners will totally ignore. Bill Gaither will remain with the Vocal Band, but only to provide his signature vocal, “boom”, “boom”, “boom”. Gold City will finally realize they are not Gold City without Tim Riley and change the name of the current group. Candy Christmas, Sheri Easter and Tanya Goodman Sykes will come together to record another Heirloom album. The Inspirations announce their retirement. Ivan Parker kicks off his 2016 tour by not wearing his signature hairpiece and everyone in the audience keeps asking each other who is on stage. Karen Peck & New River will celebrate their 25th anniversary by opening and closing their set with “Four Days Late” every night. Scott Fowler will find Benjamin Franklin’s book of secrets and sell it at NQC by providing quotes from everyone but Ben Franklin. The Ruppes will record their first album in over a decade. Tribute Quartet will finally pay Tribute to Tribute and release a greatest hits album. *In all seriousness, I hope you all have a wonderful 2016 and I am going to leave you with this new song that is already promising to be a big hit for the Wisecarvers in 2016; “Just To Save Me”. The countdown rolls on today with the album and recorded song ranked 16th among the best of 2015. 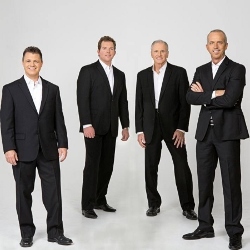 Triumphant (Quartet) have been a top of the most popular quartet list now for several years. The stable vocal line-up of David Sutton, Clayton Inman, Scott Inman and Eric Bennett has helped in that success. The group has been good at churning out at least one new recording a year. 2015 saw the release of Living In Harmony. I don’t believe it is too early to start treating Triumphant’s success the same way we viewed the success of quartets like the Cathedrals (’80s/’90s), Gold City (’80s/’90s) and the Kingsmen (’80s). The group’s song selection and vocal stability can only continue that success. Personal favorites from this recording include: “Amazing God”, “Living In Harmony”, “I Belong To Jesus”, “Jesus Must Have Been Here”, “A Friend Called Grace”, “Made For Gold” and “Living In The Promised Land”. From one fan favorite to the next, the Collingsworth Family has been a top the favorite mixed group list in Southern Gospel music now for several years. As each year passes and each new album is released, the group is still lacking that definitive song. They have plenty of noteworthy songs, but not one you can immediately associate with the Collingsworth Family. That Day Is Coming landed at retail in September. There was one song that stood out and found a home among the best recorded songs of the year. Rachel McCutcheon and Dianna Norton penned “He Will Abide”, #16 among the best of 2015. You, as readers of this blog, decided who you thought represented the best of 2015. Over the course of the last several weeks you voted in polls that represented 20 different categories (also chosen by you). If you looked back through after the polls closed, you already know the winners, but I thought I would wrap up this year’s honors by listing the winners in each category. 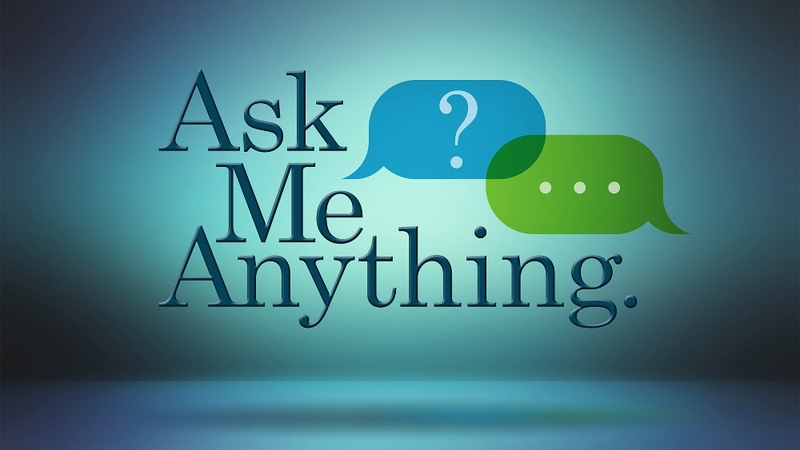 Thanks for participating and continuing to come by on a daily basis to let me know you want me to continue this blog. *I’m not surprised Karen Peck and New River were given the highest honor of best recorded song of 2015. “Pray Now” was hands down, the song that best represented 2015 in Southern Gospel music. If I was hand picking the winners, my choice would have also been “Pray Now”. *Pray Now by Karen Peck and New River was leading early, looking like they would go two for two. But the Kingdom Heirs, ultimately edged out a win for album of the year for A New Look. My choice would have gone to Pray Now, but all five contenders in this category were worthy of the win. *This was the closest vote tally of any category in the honors. 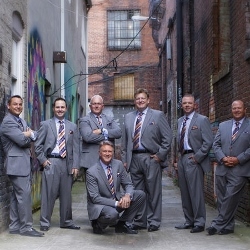 The Kingsmen and Gaither Vocal Band (“Sometimes It Takes A Mountain”) were swapping the lead throughout but the Kingsmen were honored for their hit single, “Battle Cry”; the best single of 2015. *This was no surprise. Ultimately one of the best cover songs in Southern Gospel music; beating the original recording by Gold City. *The Nelons had another good year, tallying four wins in this years honors. The first is Amber Nelon Thompson’s solo recording, Just Sing, picking up best album cover design. *It is finally great to see non-performing/touring songwriters getting the recognition they deserve. It is also nice that the general Southern Gospel listening audience is also beginning to recognize these names. All five nominees in the songwriter category this year were non-performing/touring songwriters. Kenna Turner West is one of the best and she was given this year’s honor as best songwriter. 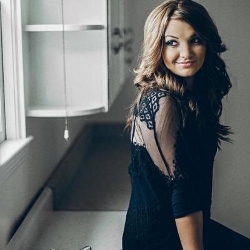 *Kenna Turner West would grab two wins as she was also part of the best songwriting collaboration team of 2015. Along with Sheri Easter and Don Poythress, they penned one of the best recorded songs of the year; “Jesus Loves You”. The song was recorded by Jeff and Sheri Easter. *Fan favorites tended to dominate the artist categories. Triumphant grabbed best quartet of the year. My hand-picked choice would have gone to Ernie Haase & Signature Sound. *Another fan favorite, the Collingsworth Family picked up the honor for best mixed group. My choice would have gone to the Erwins. *One can’t argue the contributions Greater Vision made to Southern Gospel this year with the release of As We Speak. For me, one artist would have slightly edged out Greater Vision; Karen Peck and New River. *A strong debut album (A New Chapter) along with a strong debut radio single (“Steppin’ Out In Faith”) and immediate name recognition made for a fairly easy choice for most voters. 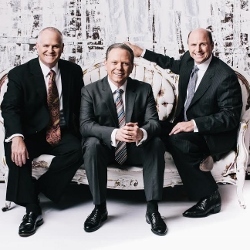 *While the Dunaways attempted to provide some competition, the LeFevre Quartet would pick up the honor for most underrated artist of 2015. Even though, the new album (Home) has been pushed back, the success of the first single, “He Left No Stone Unturned” was enough for this win. *Greater Vision would grab a second win as Chris Allman picked up tenor vocalist. 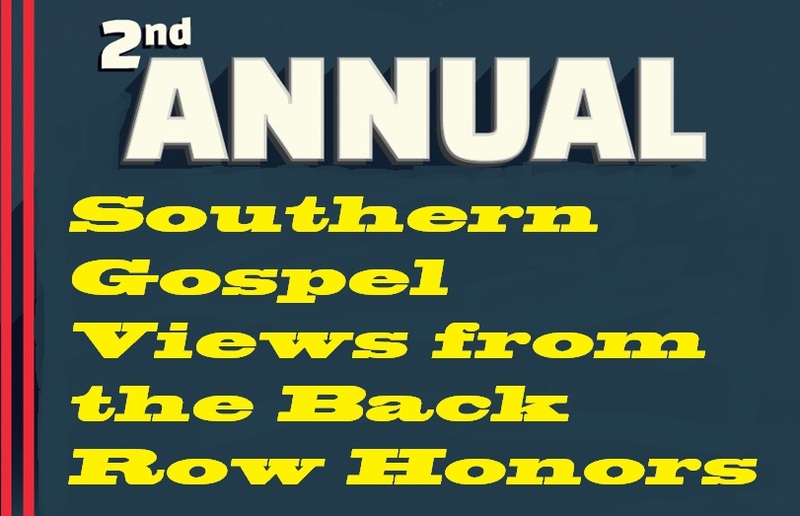 *Arthur Rice being snubbed from other fan voted award shows has given him two wins in a row for the Southern Gospel Views from the Back Row honors. *Triumphant would also grab a second win with Scott Inman garnering baritone vocalist. *Actually, go ahead and make that three wins for Triumphant as Eric Bennett was chosen as best bass vocalist for 2015. *The Nelons would make a clean sweep of the female vocal spots as Kelly won Alto. *And Amber would get her second soprano win in a row. *Amber Nelon Thompson’s success over the last couple years has been unmatched. She, alone, made up three of the four Nelon wins. “Without Your Love”, along with Jospeh Habedank garnered Amber a win for vocal collaboration of the year. 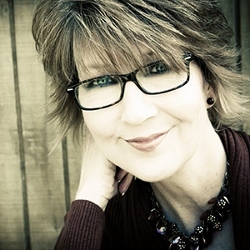 *Karen Peck Gooch is one of the most known female vocalists in Southern Gospel music. Her career has now spanned more than thirty years. As a result, you honored Karen with the hall of fame individual for 2015. Congratulations to all of this year’s winners. Thanks for providing the best Southern Gospel had to offer in 2015; at least the readers of this blog think so.